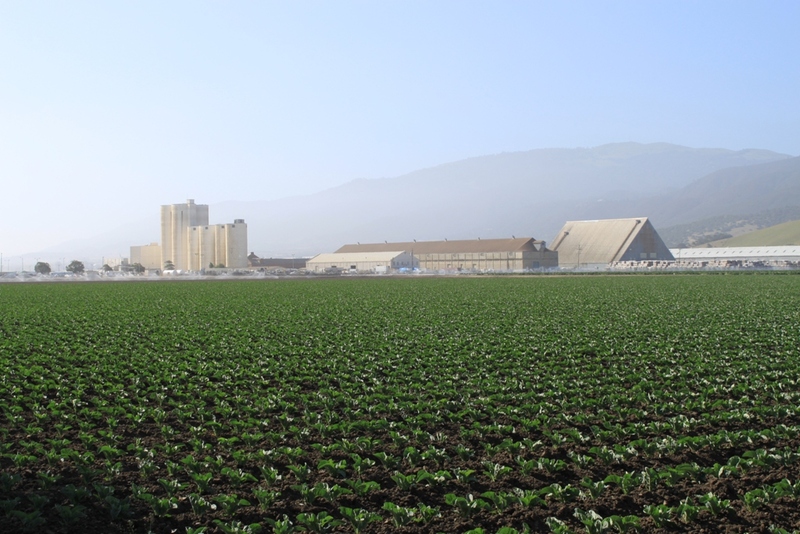 California is the nation’s largest farm state, providing half of the nation’s fruits, vegetables, and nuts, as well as adding $40 billion to the state’s GDP. 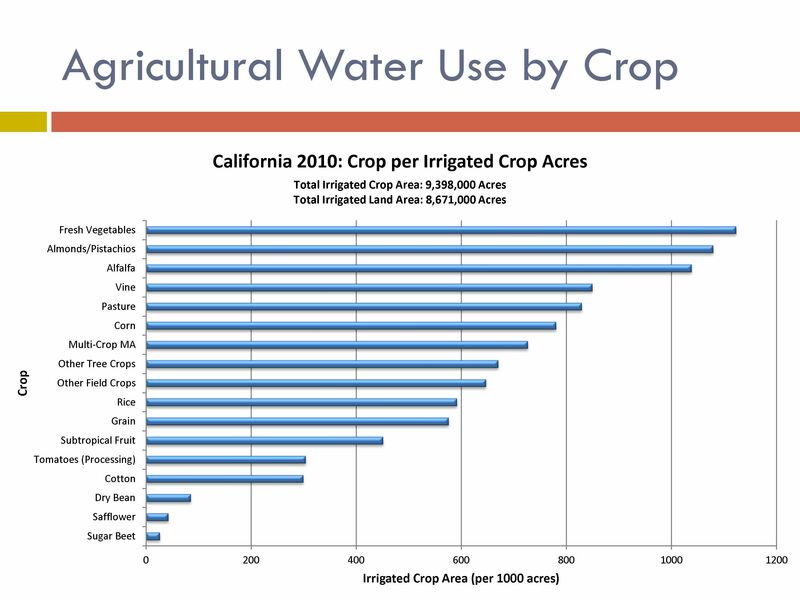 Agriculture is the largest user of consumptive non-environmental water in the state, a fact that has come under fire recently in the press due to the exceptional drought conditions and the resulting tight water supplies. 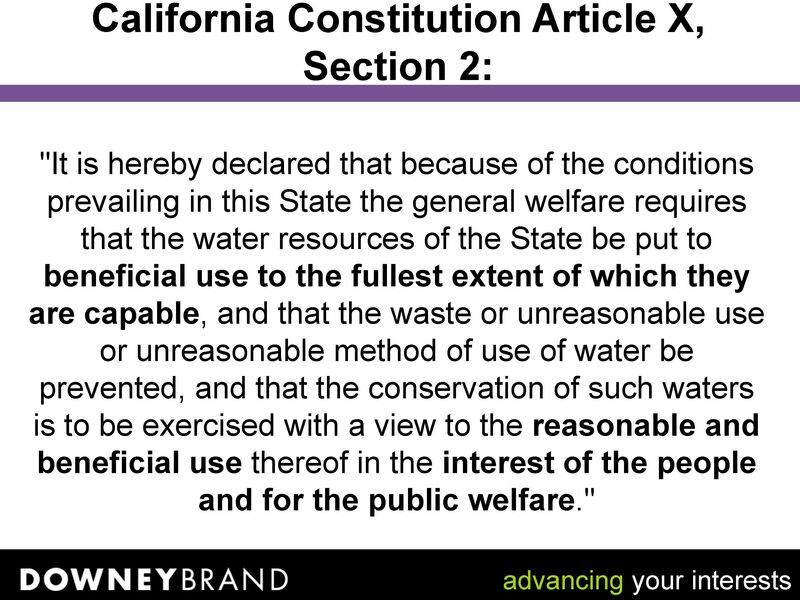 The Water Conservation Act of 2009, passed as part of the landmark water reform legislation, set well-publicized targets for urban conservation, but contained some requirements for agriculture as well. 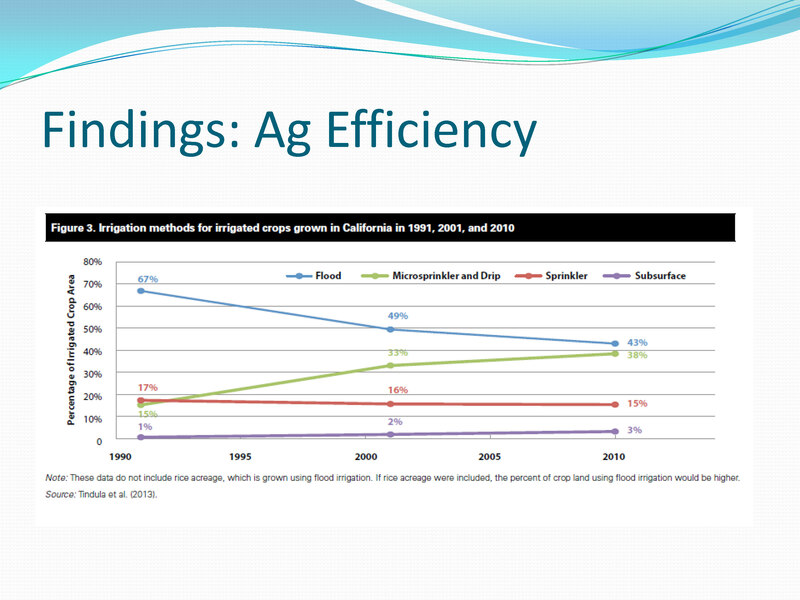 How agriculture has responded since the passage of the legislation was the subject of a panel discussion at the California Water Law Symposium featuring Chief of DWR’s Water Use Efficiency Program Peter Brostrom, NRDC attorney Claire O’Connor, and attorney Mark Atlas from Downey Brand discussing the changes in agricultural water use efficiency since the passage of the legislation and the potential for further agricultural conservation and efficiency. 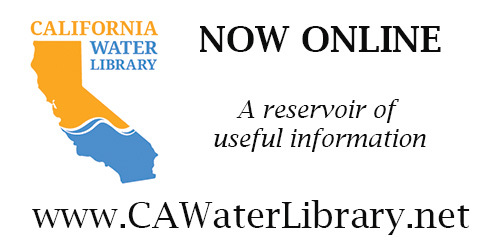 The panel was moderated by attorney Katy Spanos, Assistant chief counsel with the Department of Water Resources. 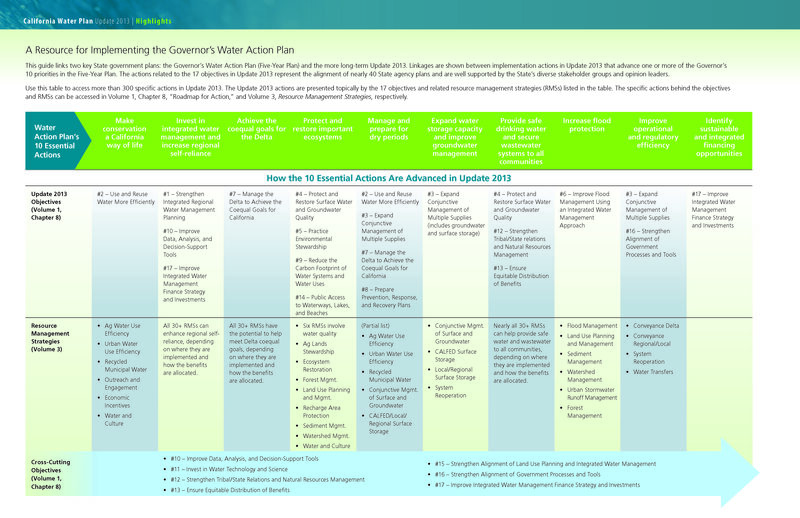 Ms. Spanos then presented a graphic from the California Water Plan, noting that this is not the often-talked about Governor’s Water Action Plan, but rather the statewide planning document that is produced every five years by the Department of Water Resources through a collaborative process that involves hundreds of different stakeholders. 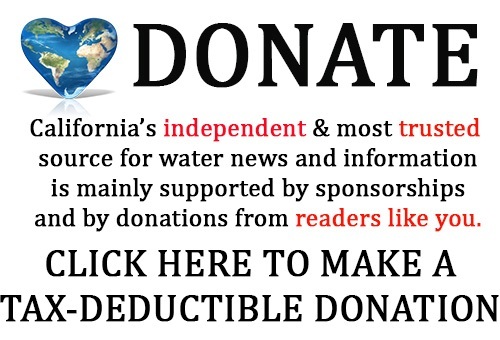 “Following up with the words of Mark Cowin, the Director of DWR, “To manage our water wisely, Californians need a shared understanding of our challenges and a vision for the future. 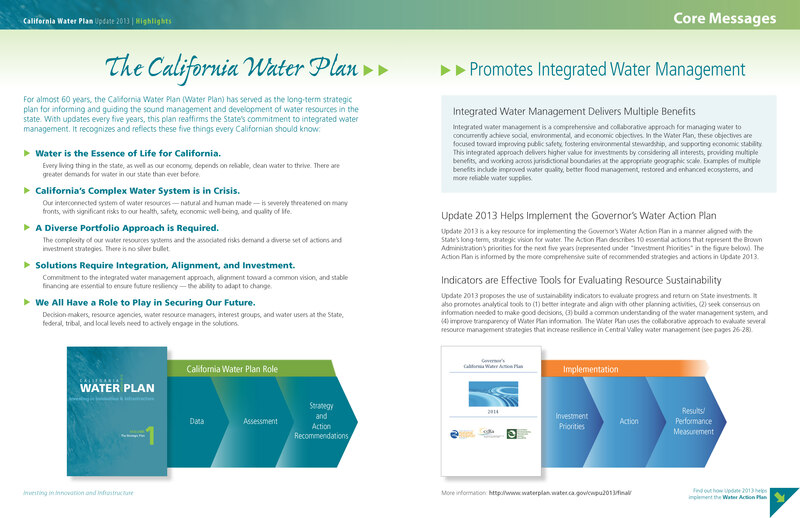 The California Water Plan update delivers that and creates a path forward,’” she said. Ms. Spanos noted that most of the speakers on the panels at the symposium have made the point that reasonable use is viewed in the context of the situation – of what is known, of what other uses are involved, and of what the climate, geography, and cultural communities are. “I think this report is certainly not the only tool, but is a significant and important tool for bringing all this information together as we try to collaboratively solve our problems in the future,” she said. The panelists then began their presentations. 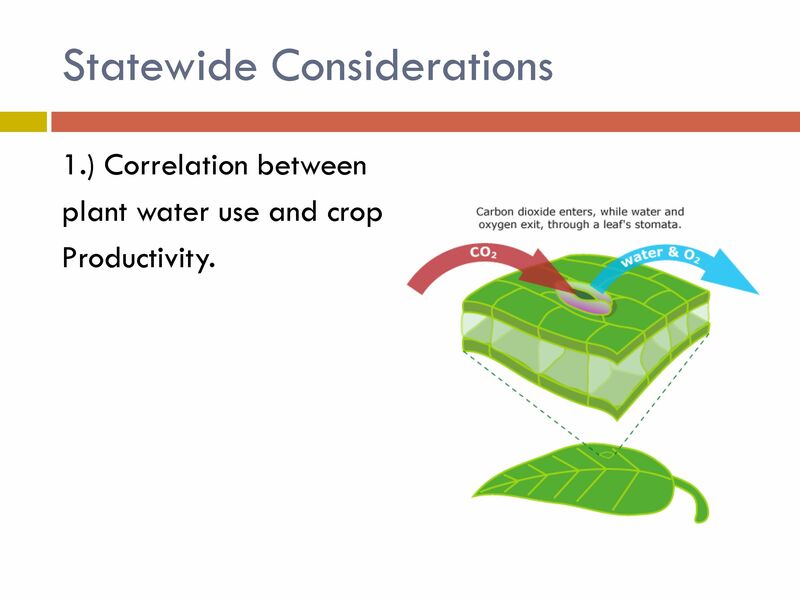 “There are a lot of misconceptions, I think, in the general public about Ag water use efficiency, and what it can and cannot do, so I hope we can cover some of those issues today,” began Peter Brostrom. 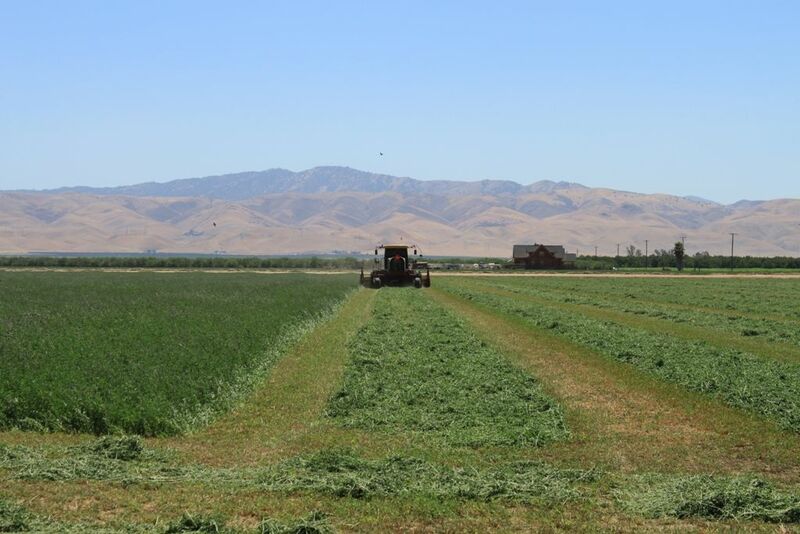 “Close behind that is alfalfa,” he said, noting that in an earlier panel, it was suggested that growing alfalfa may be considered as more of a ‘taste or fancy’ issue. “But as long as we’re drinking milk, we need alfalfa grown in the state,” he pointed out. 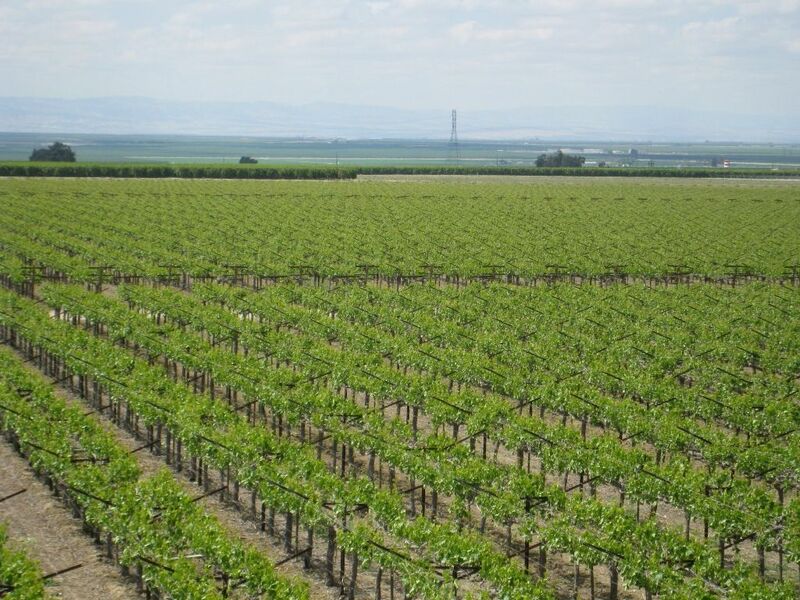 He noted that vine crops, both fresh table grapes and vineyards, have increased dramatically over the past few years, and there is a significant amount of acres used as irrigated pasture primarily for cattle. 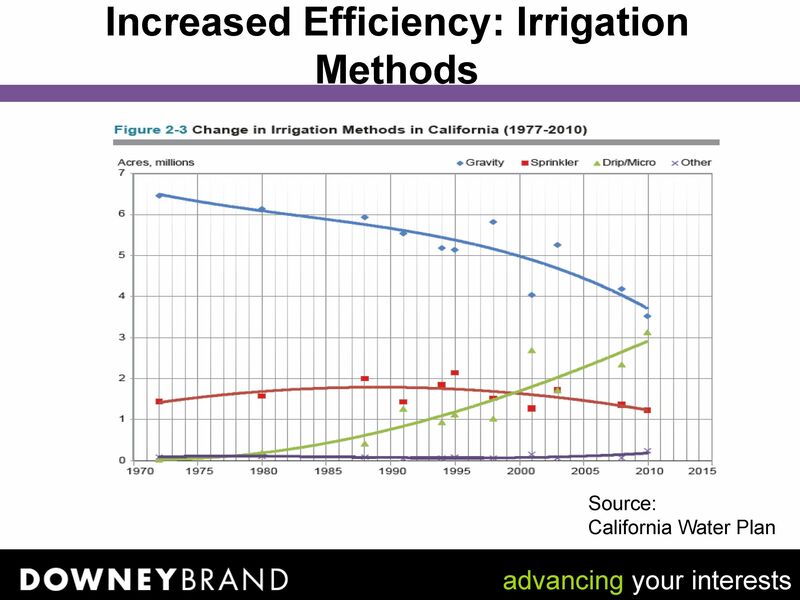 There are two components to agricultural water use efficiency – on-farm improvements and agricultural water supply improvements, Mr. Brostrom said. 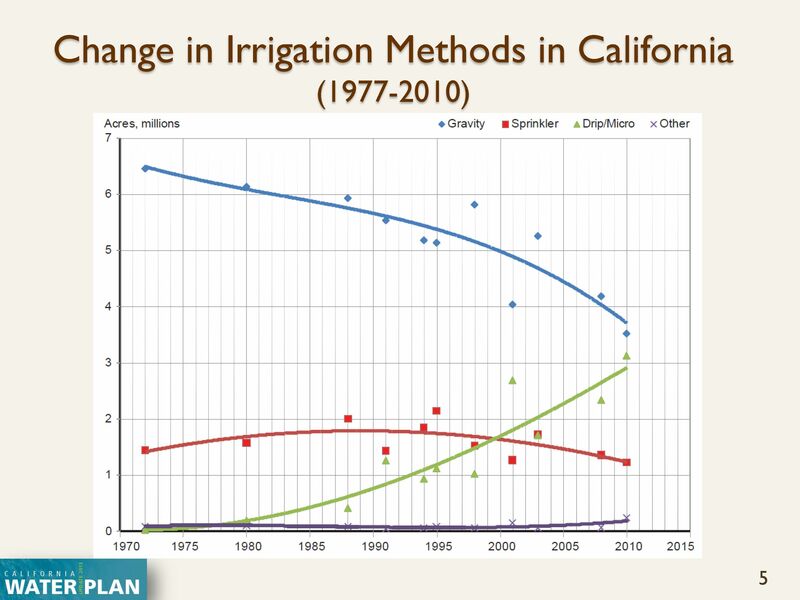 On-farm improvements can include irrigation scheduling — making sure you’re applying the water when the crop needs it; irrigation system improvements such as switching to drip, and then land management practices like laser-leveling which smooths out the fields for more accurate furrow or surface-irrigation, he said. 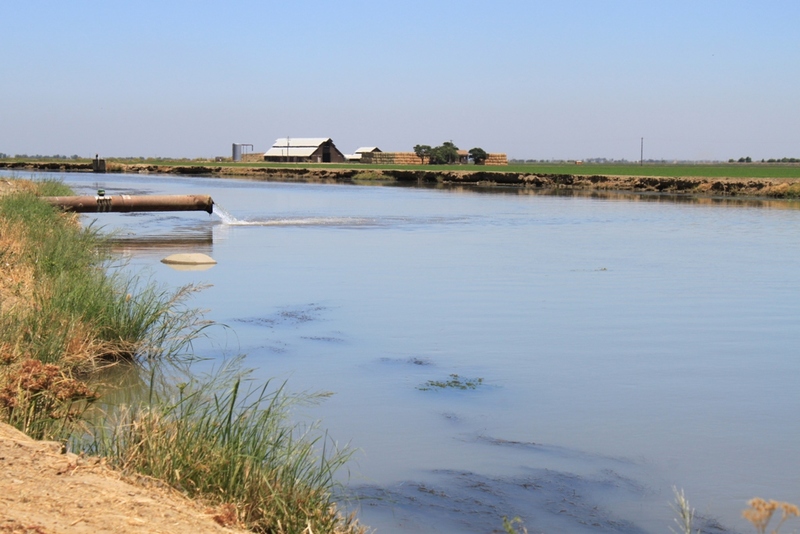 At the agricultural water supplier system level, canal-lining and canal automation and management can give better control of water being delivered to farmers, he said. 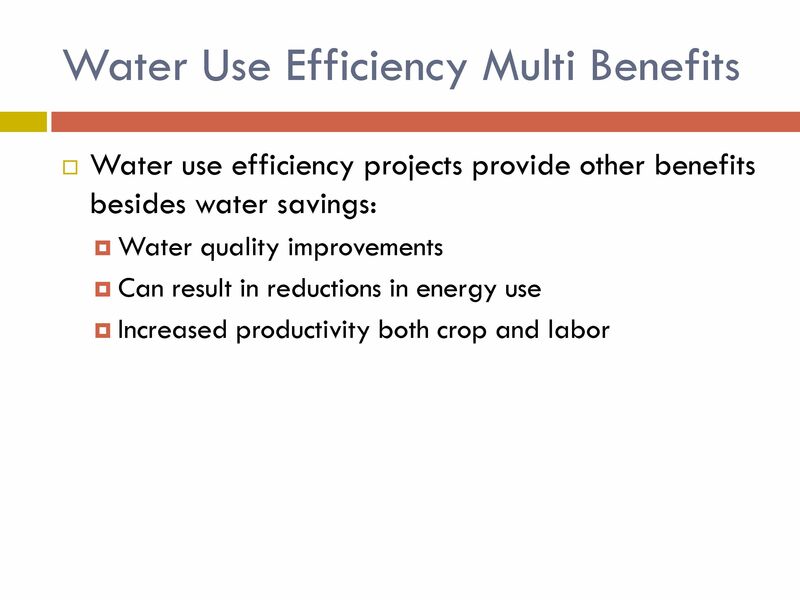 He then briefly discussed the ways state and federal agencies provide support for agricultural water use efficiency. 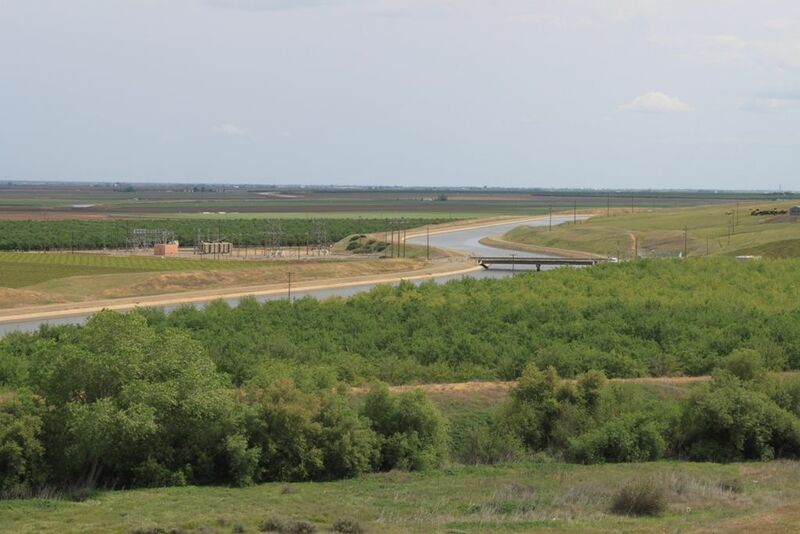 The California Irrigation Management Information System or CIMIS has over 145 weather stations statewide, along with a satellite system called Spatial CIMIS which produces a map that shows evapotranspiration across the state on a daily basis using a 2-kilometer grid. “It provides accurate information for farmers to schedule their irrigation,” Mr. Brostrom said. 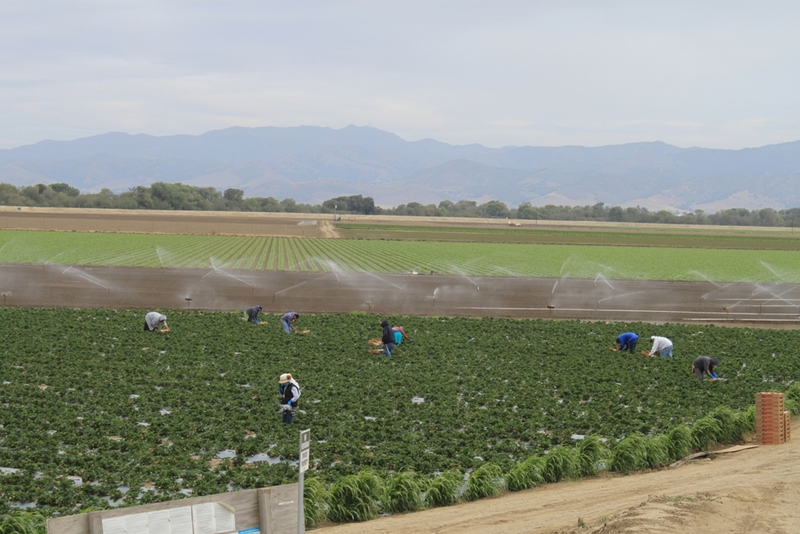 There are Cooperative Extension farm advisors in every county who provide valuable assistance to farmers, both in irrigation and crop management, and Resource Conservation Districts that offer assistance for irrigation efficiency improvements at the county level, he said. 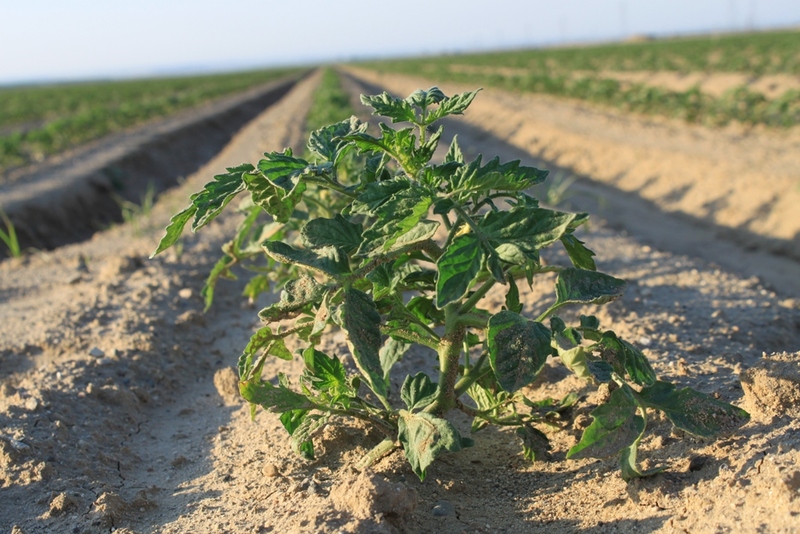 The National Resource Conservation Service, formerly the Soil Conservation Service, gives out millions of dollars a year for suppliers to make improvements in their irrigation systems through EQIP grants, he said. 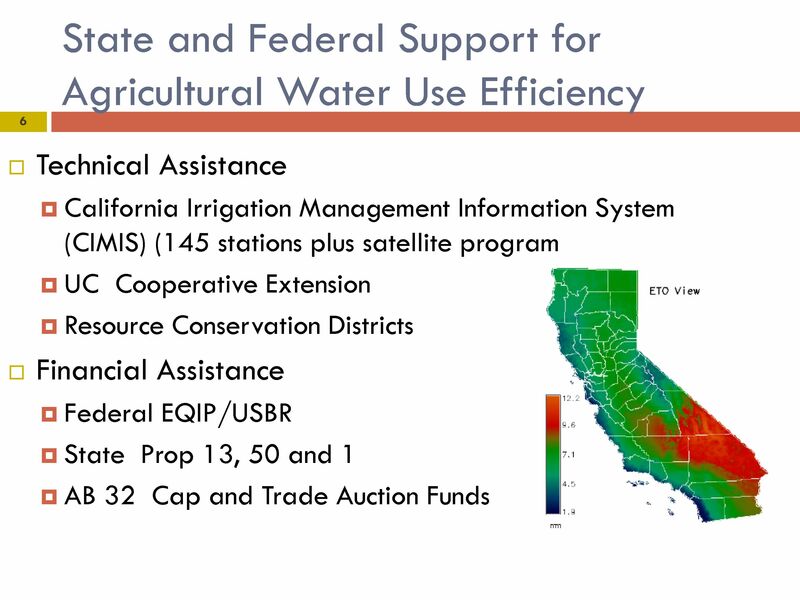 Mr. Brostrom said the state has a number of grant programs aimed at the water-supplier level including Prop 13 and Prop 15; in Prop 1, there’s $100 million for both Ag and urban water use efficiency, and this year, there’s $19 million available through the AB 32 Cap-and-Trade Auction funds. 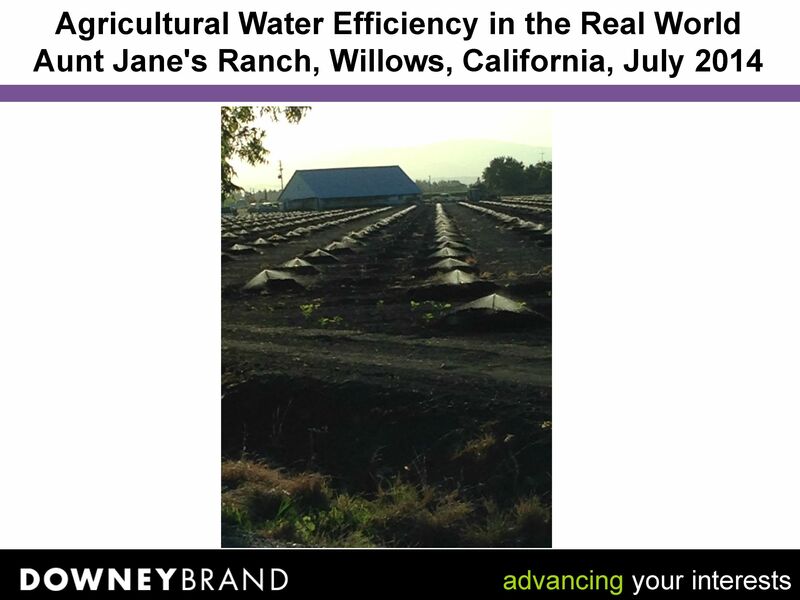 “With most of our crops, you see a direct reduction in yield as you reduce the water use,” he said. 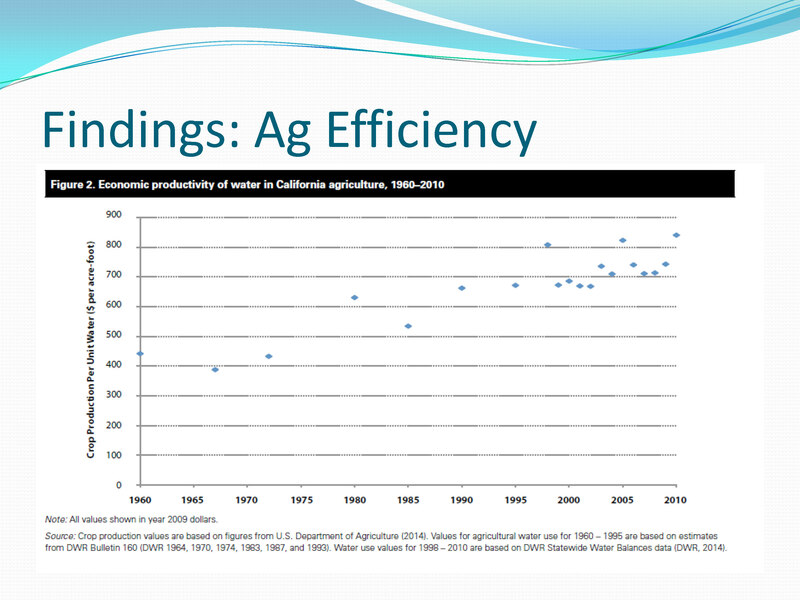 She also pointed out that 5.6 to 6.6 MAF is also roughly the same amount of water that UC Davis estimated that farmers were short in surface waters this year. 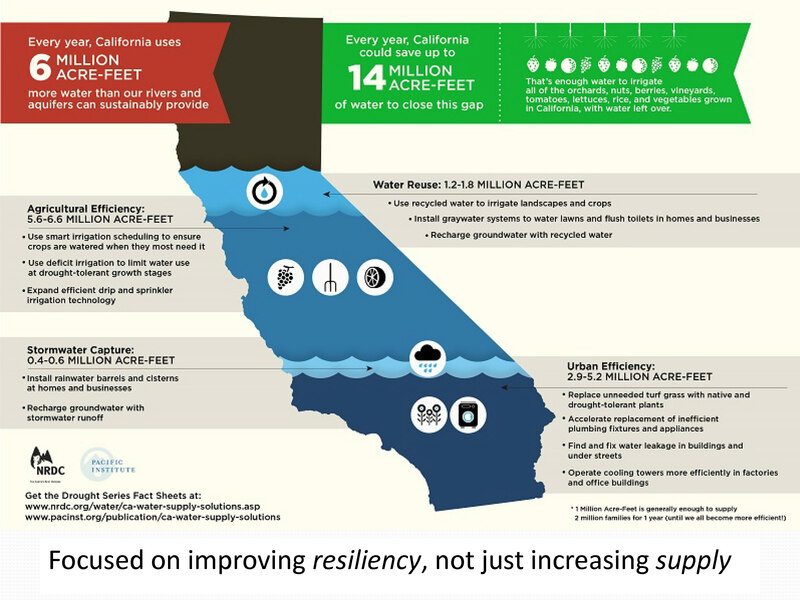 “This speaks to the power of increased efficiency as a drought resiliency tool,” she said. Ms. O’Connor noted that over this same time period, there has been economic growth in our agricultural sector. “Our farmers are producing more crop per drop, which speaks to the power of efficiency as an economic tool for farmers,” she said. 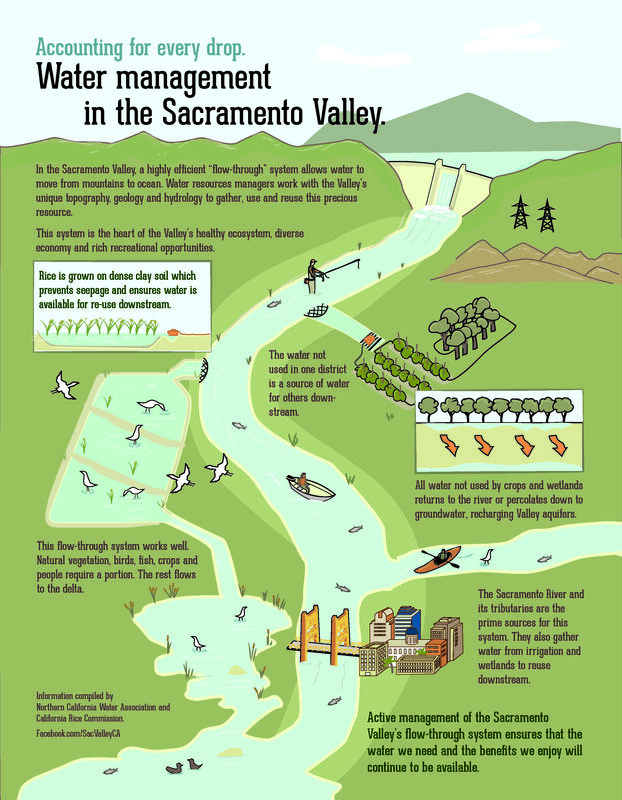 Mark Atlas began by saying that he lives in Willows, an agricultural community located halfway between Sacramento and Redding on the west side of the Sacramento River. 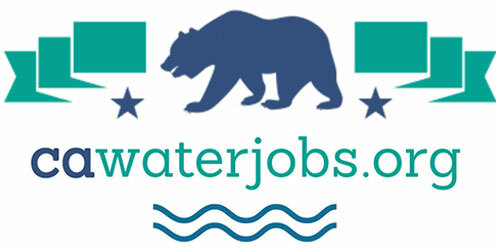 His clients are primarily contractors with the Central Valley Project on the Tehama-Colusa and Corning canals; a few of his clients have pre-Central Valley Project water rights, and hold Sacramento River Settlement Contracts. 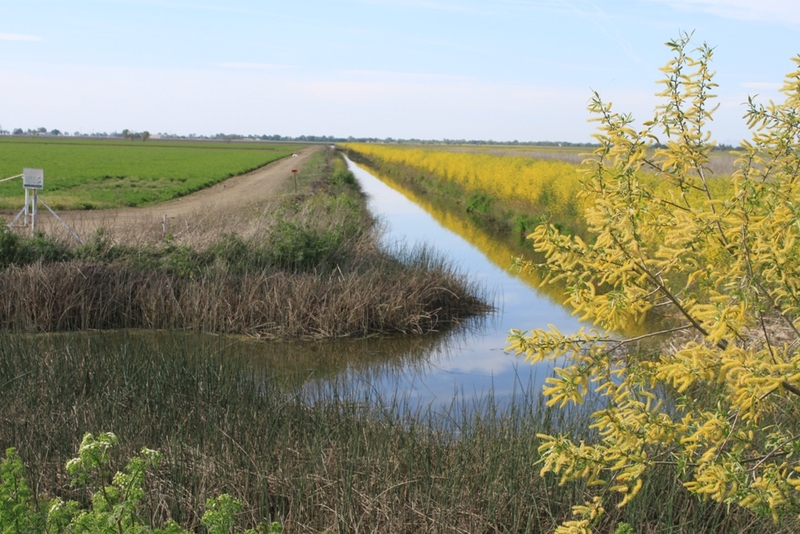 In that same time period, the cost per acre foot of water from Colusa County Water District was $2 an acre foot; in 2010, it was $65 an acre foot — 3,250% increase in the cost of water. 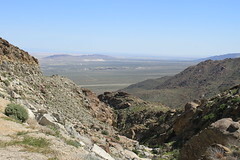 “In the same period of time, production’s gone up, and water use has gone down,” he pointed out. Mr. Atlas pointed to the purple line, which represent subsurface irrigation techniques. He had an example of new drip tube with the emitters built in on the inside. 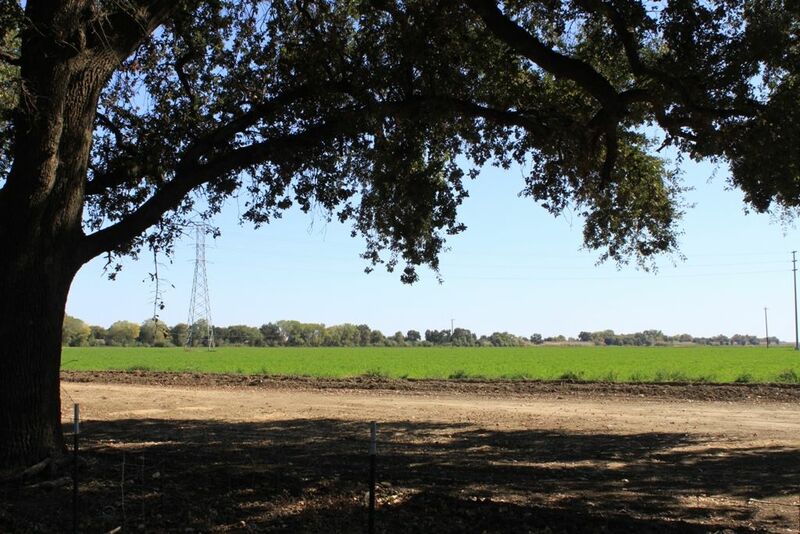 He noted that the emitters are pressure-regulated, so that the trees at the top end of the field get the same flow rates as those at the bottom end of the field. 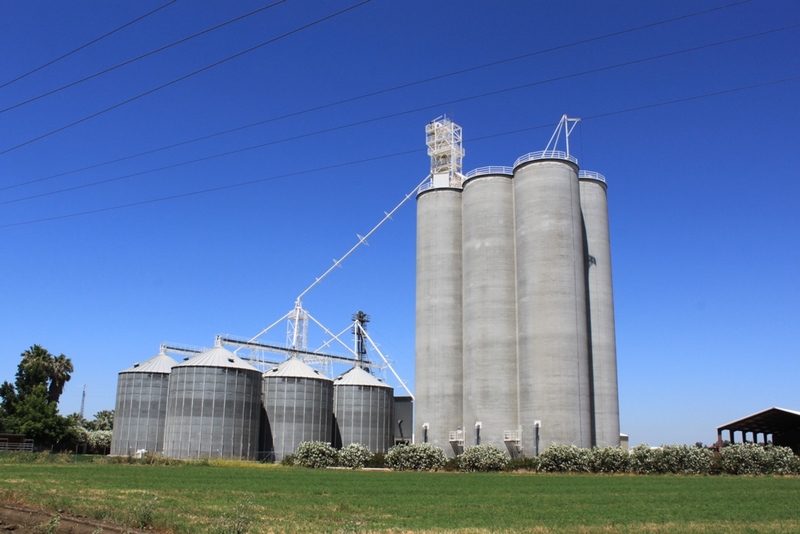 Mr. Atlas noted that one of the costs associated with it is that the fields have to be worked with equipment that has GPS equipment in it to prevent it from being damaged. 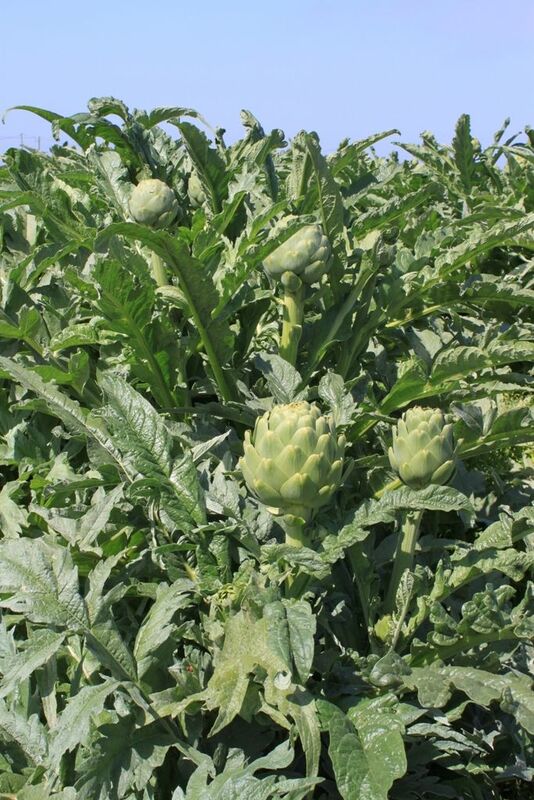 “Farmers that are our friends and neighbors are producing the stuff that we want them to produce right where we want them to produce it,” he concluded. The question was asked if the panel could comment on the relationship between Prop 218 and volumetric pricing. 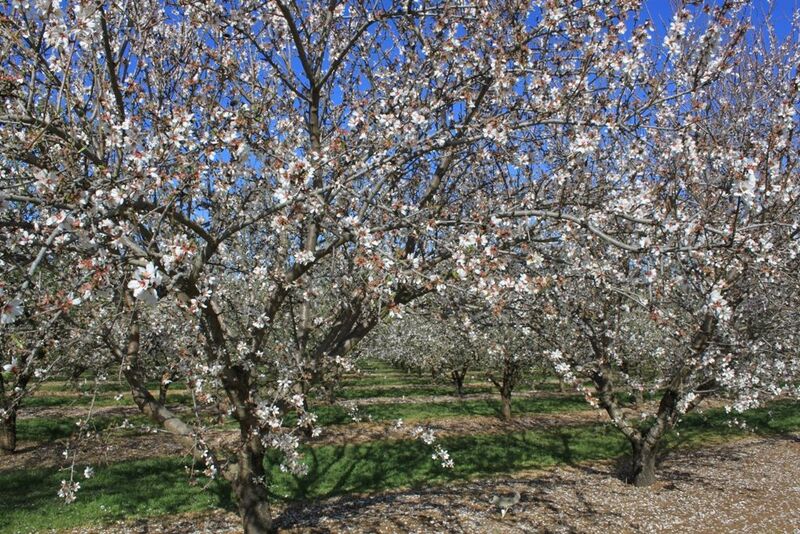 The question was asked what percentage of the top crops — almonds, pistachios, alfalfa — exported from California? It was noted that both Mr. Atlas and Mr. Brostrom mentioned that there was some element of flood irrigation that was percolated into groundwater and was then used. 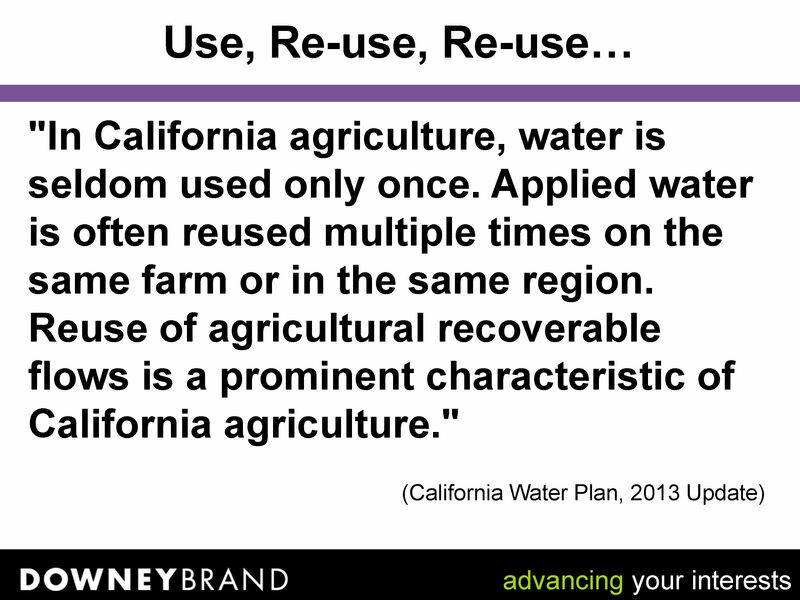 Is there a metric that’s been adopted or revised to evaluate how much is actually reused? 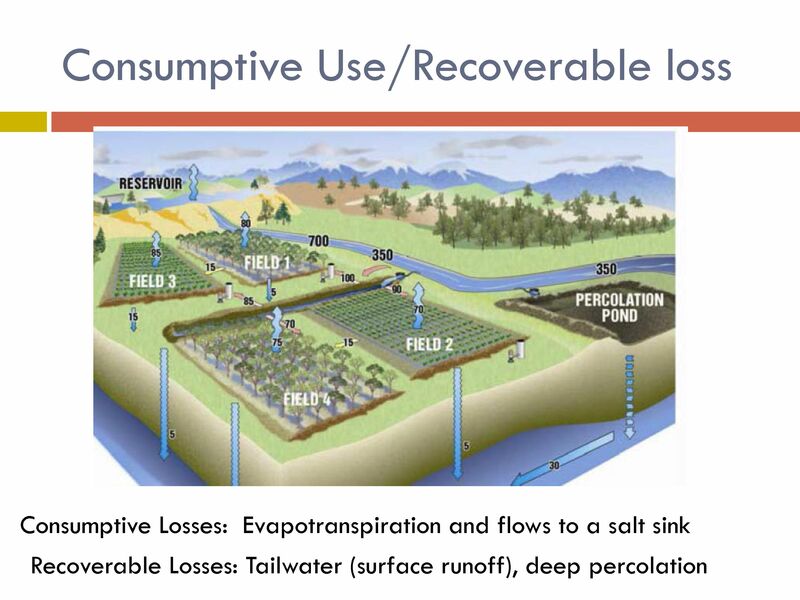 And if so, what’s the range of efficiency for groundwater recovery from flood irrigation? The question was asked if there was a movement in agriculture to change crops or change varieties to save water? Mark Atlas said that one thing that’s done is that the rice industry funds a rice research station in Richvale. “One of the things that they’ve done is they developed what they call ‘short-stature rice.’ So I don’t know this from my own knowledge, but in the ’50s and ’60s, the rice stalk was quite a bit longer, taller. It’s much shorter now, which does two things. First of all, you don’t have to flood the field as deeply, and there’s not as much plant material as [unintelligible], plant material to evaporate moisture. 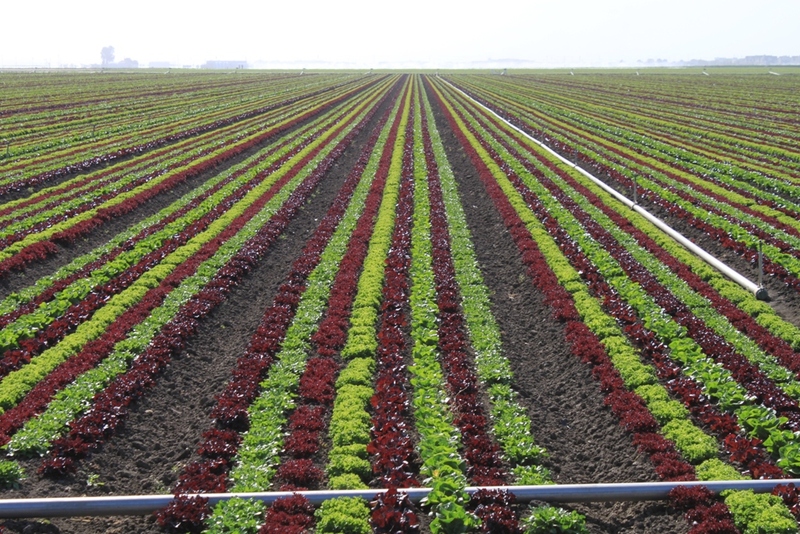 So that’s one.” He also noted that UC Davis does a lot of research on producing the same amount of produce with less water, looking at the varieties of crops that are grown.